Why the Rosetta's Comet mission so important? 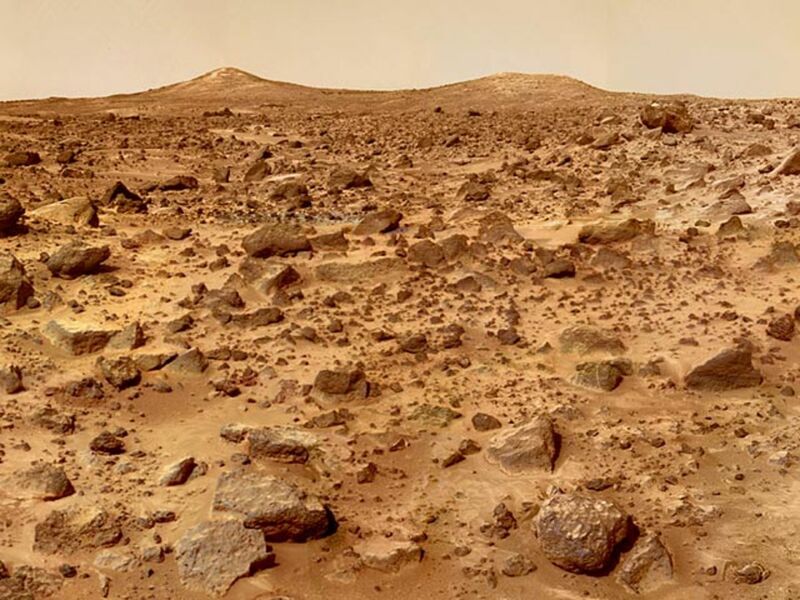 With the advancement of globalization and the technological prowess in Space Science exploration,scientists are now exploring every nook and corner of space.From Nasa's Curosity rover to Mars orbiter mission and many more exploration internationally with global accomplishment with a mission to harness the mystery behind space science. 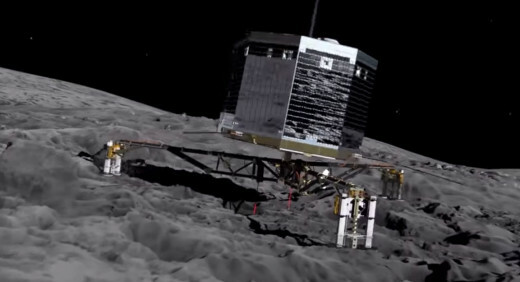 The European Space Agency has taken this exploration a leap ahead by landing Philae(spacecraft) on a speeding and rotating Comet Nucleus on November 14,2014.The comet is about to collide with the sun when it approaches perihelion(closest approach to sun).The first ever mission and the first ever spacecraft to controlled touchdown on a comet. Now that the European Space Agency made ​​the perilous journey to comet 67P / Churyumov- Gerasimenko has taken and successfully landed on it,its high time that's scientists get themselves to work and explore the comet surface. Philae is a robotic lander developed by ESA (European Space Agency).It accompanied the Rosetta spacecraft until its designated landind on the comet 67P/Churyumov–Gerasimenko,more than 10 yrs after departing from the surface of earth.On 12 November 2014,the lander touches the surface of the comet nucleus.It is expected that the instruments installed in the lander/spacecraft will obtain images from a comet's surface and make deep analysis on the comet's composition. 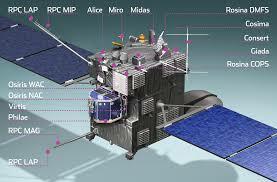 The Spacecraft is tracked and controlled from the European Space Operation Centre (ESOC) at Darmstadt, Germany. 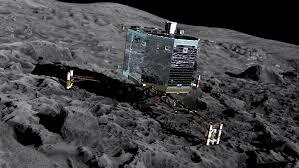 The lander was named after Philae in the Nile,where an oblesik was found and used, along with the Rosetta Stone to interpret Egyptian Hieroglyphics. Comets are very old. Older than mankind . Older than the Earth. They are the leftover parts of the vast primeval cloud of gas, dust and ice that gave birth to the sun and all the planets of our solar system. Situated on the periphery of the cloud, they were too far away to be melted by the sun's radiation and too little extended to join a planet. They have remained unchanged, frozen in our birthplace of more than 4 billion years remains. 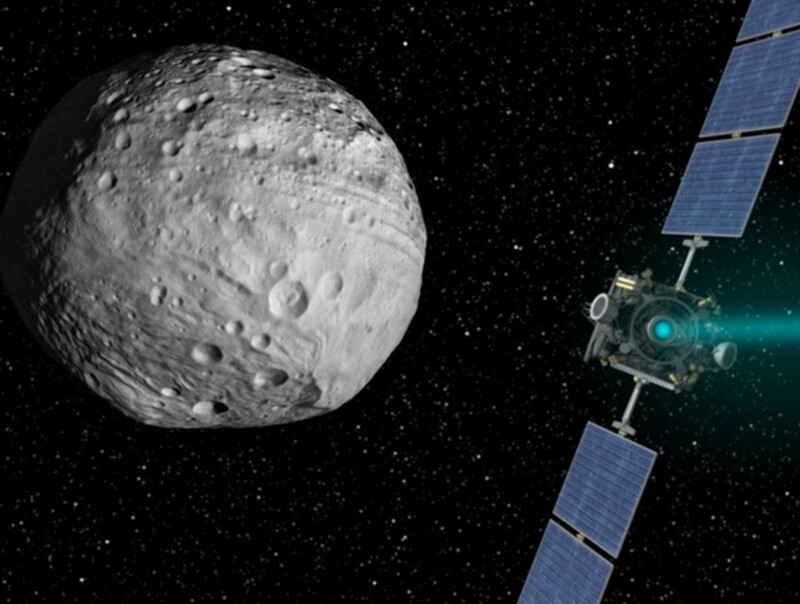 On 22nd January 2014,scientists from ESA (European Space Agency) reported the evidence for the first definite time for the existence of water vapour on the dwarf planet Ceres which is the largest object found in the asteroid belt.The detection was carried by using the far-infrared abilities of Herschel Space Observatory and for the first time astronomers were able to give the detailed distribution of HCN,HNC,H20, and dust inside the comae of comets C/2012 F6 (Lemmon) and C/2012 S1 (ISON). 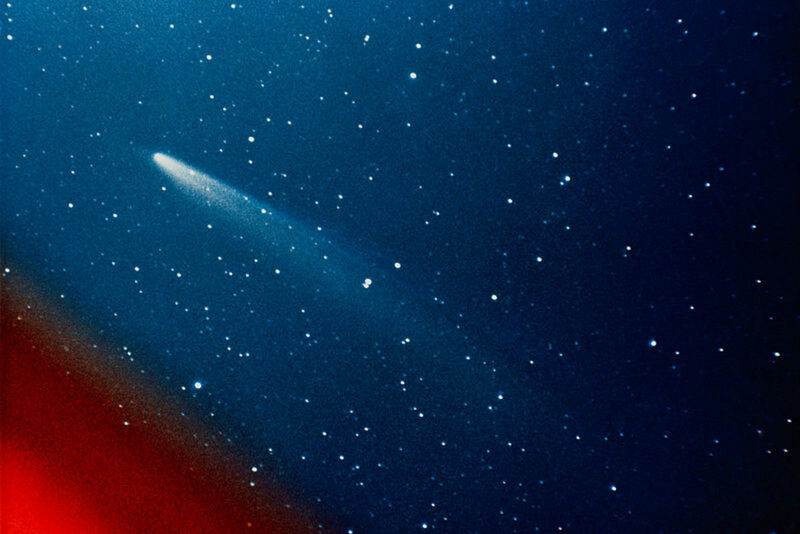 Even though it contains some ingredients or components that are the building blocks of life still that doesn't mean that their is life in comets,but some scientists suspects that the ingredients for life on Earth could have been delivered by these heavenly bodies, along with plenty of water for life to thrive in. 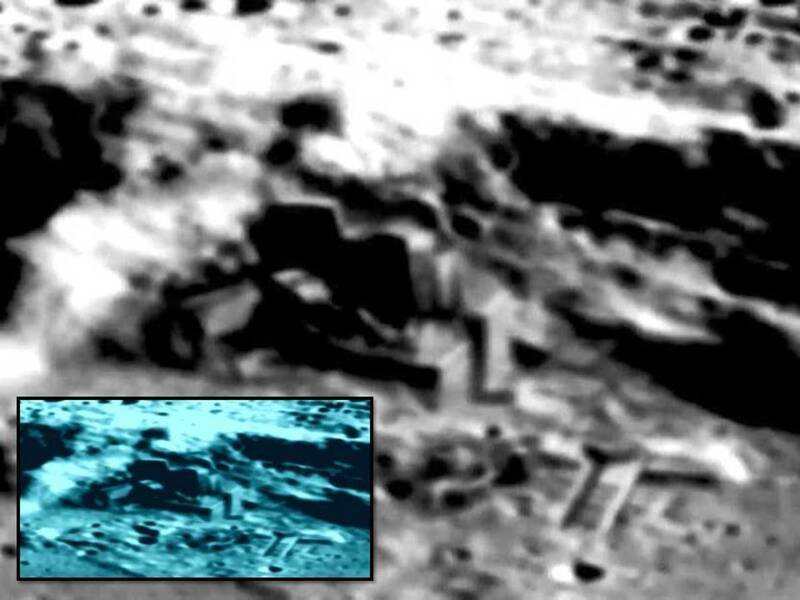 That is the reason why their is much curiosity surrounding the ability of Philae lander to study the surface of the comet and analyze what it’s really made of. The scientific and technological goals of the mission is to focus on the elemental,isotropic,molecular and mineralogical composition of the comet surface specializing characteristics of physical properties of the surface and sub-surface material, the large-scale structure of the magnetic and plasma environment of the nucleus. Another feature of the comet can be obtain when it swings near the sun when it approaches perihelion due to which the water ice will vaporize producing ice geysers that will erupt from beneath the surface and blow out into space,producing the beautiful tails which can be witnessed in the sky. Both the spacecraft i.e Philae lander and orbiting Rosetta will be able to witness these events in real time. As the comet gonna lose its mass from the inside, will the ground collapse like a sinkhole, or will the comet actually break apart? 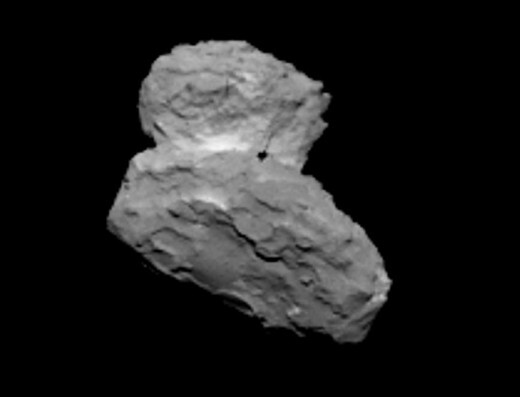 The 67P comet has a dumbbell shape structure with a very narrow neck that connects the two lobes. The neck could actually erode to the point where it might become too weak to keep the body running together. 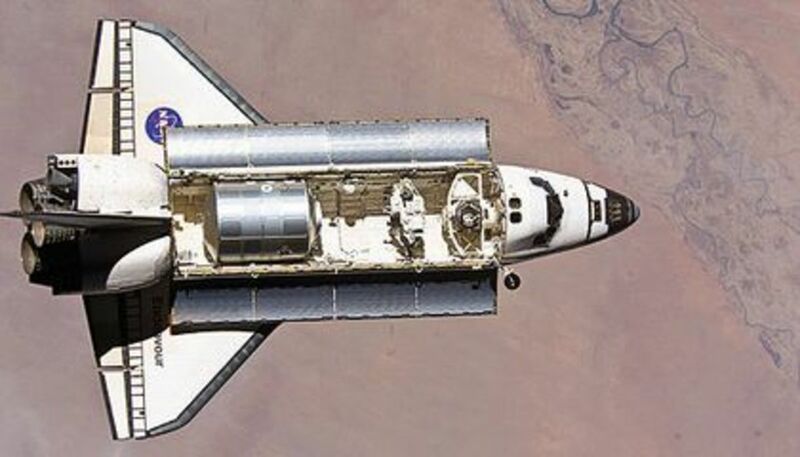 As a matter of fact this is a major exploration where humans,the artificial bots are exploring sights that are envied by all but seen by none,literally going where no one has gone before.This is the true majestic exploration by mankind to explore the unknown in space science.. But for now,everyone involved in this historic mission are happy to be a part of 67P.Its just like venturing out to places unknown,similarly lets see ahead what happens next will be full of surprises and what is in store for mankind to explore. 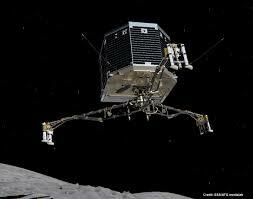 First ever landing on a comet lets see what next!